"Serious injuries don’t only affect one person – they affect the entire family. My practice focuses on vigorously advocating for injured Plaintiffs and their families in pursuit of their rights, after having sustained serious and often life-changing injuries. After such injuries, clients will need an experienced and compassionate advocate to help guide them through the legal process, which is supposed to be there to protect their rights. My aim is to provide exactly that – the best guidance possible, at the right times, in the best way I can, and always in pursuit of the best outcome possible. Having helped to develop and being part of a Team at this office which is client–focused and specialized, allows me to do that." Mike has been pursuing his clients' interests for over 15 years, and handled complex cases from beginning to end throughout his career. He has appeared at all levels of Court in Ontario, including at Trial at the Superior Court of Justice, and upon Appeals at the Divisional Court, the Court of Appeal for Ontario, and recently successfully making submissions to the Supreme Court of Canada, to resist an Application for Leave to Appeal that Court. 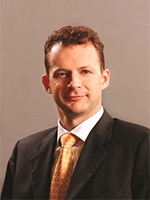 Mike has also appeared at various Tribunals in the province on behalf of his clients, as well as acted as counsel at Arbitrations, Mediations, and engaged in other out-of-court dispute resolution efforts. Mike graduated in 2002 from University of Western Ontario’s Law School, in London Ontario. While there, he acted as the Vice-President Internal for the Dispute Resolution Centre, conducting mediations, and assisting in mediation courses through the Centre. He also represented the university at the national Jessup International Law Moot Court Competition, and other legal competitions. Prior to that, Mike attended for a period at Leiden University in Leiden, the Netherlands on scholarship, the oldest university in the country, studying International Law as well as International Politics. While there, he assisted at the Leiden Journal of International Law as a Junior Copy Editor, and also participated in trial competitions on international law, and had the opportunity to attend at the International Court of Justice in The Hague, located at the Peace Palace. Mike received his undergraduate degree, with Honours, from Laurentian University in Sudbury in 1999 with a double-major in Law and Justice as well as Political Science. Mike currently sits on the Board of Directors for Child and Community Resources, which provides services to children and youth with Autism Spectrum Disorder, as well as other children, and has held various positions including Chair of the Board from 2015-2017 and Chair of several committees. He has also been a member of Autism Ontario, being involved previously as President of Autism Ontario – Sudbury and District Chapter, and has been involved in numerous events and activities supporting families and individuals in the Sudbury District, affected by Autism. During time away from the office, Mike enjoys being with his family and their dog, engaging in outdoor activities, and the practice of martial arts including Goju Ryu Karate, in which Mike holds a 5th degree black belt. Please see his LinkedIn page for further details.